In this post, you’ll learn which drone laws you need to consider in Swaziland. Swaziland is in many aspects, especially regarding legislation. Currently, only rules for drones below a weight of 1.5 kilograms can be found. For possession of such drones, you need a letter of approval from the Swaziland Civil Aviation Authority (SWACAA). To bring your drone into the country, an import license from the SWACAA has to be obtained. Maximum altitude: The maximum permitted altitude for drones in Swaziland is 120 meters, but a maximum kinetic energy of 34 Joules must not be exceeded. Maximum horizontal distance and FPV: Drones must always be in sight in Swaziland. Compulsory insurance: In Swaziland, your drone must be insured. Maximum take-off weight (MTOW): According to the current state, only drones up to a maximum mass of 1.5 kilograms are permitted in Swaziland. Distance to airports: At airports, a sufficient distance must be maintained. Other safety distances: To uninvolved persons, vehicles, and buildings a distance of 50 meters must be ensured. 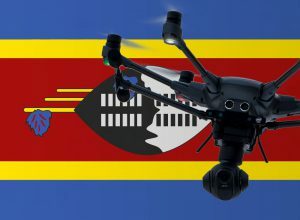 Flight Ban: In Swaziland, you are not allowed to operate your drone in cities/settlements, over roads, power plants, and industrial estates. Operating hours: No information available yet. Special legislation: In Swaziland, multicopters must be provided with a drone badge bearing the name of the owner with contact details. Rules for commercial pilots: So far, I have been unable to find regulations for commercial pilots. We have researched the listed drone regulations for Swaziland to the best of our knowledge. We cannot guarantee the correctness of the information. If you want to be on the safe side, contact the competent aviation authority. Alternatively, you can also ask the embassy in your country for further information about the regulations. Please leave us a comment when you receive news and/or gain experience with your copter in Swaziland! Nice content and necessary for every drone flyer in Switzerland. We can see many sites but not find content as written by Francis. Good content, keep posting. DJI Mavic Pro Review: The Ultimate Travel Drone?